View all current homes for sale in One Royal Palm Way Condo, Palm Beach, Florida. Click on a listing to the view property details, photos and maps. If you would like to change or expand your search criteria, go back to the Palm Beach search page, or try using our Advanced Search. 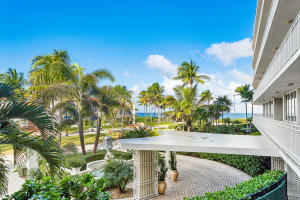 Premier location in one of the most coveted buildings on the island of Palm Beach. Conveniently located in the center of town offering multiple dining establishments and shopping on the famous Worth Avenue. Direct ocean views from a large veranda, as well as southwest sunny exposure overlooking an expansive patio. The large floor plan provides the ability to convert this bright sunny condo into a 3 bedroom with large living spaces. The many amenities include 24/7 doorman, swimming pool, workout room, reading room and garage parking. For more information about buying or selling property in Palm Beach, please feel free to email or call us at 954-720-7111. We are here to help!